How to Protect Data in the Cloud where you have no option to opt out for not using the Cloud ? This is quite common now as the social networks uses cloud. But definitely it is not agreeable that someone will steal your account details or even your banking details somehow, if you use Advertisers’ account for example. Now think about iCloud like integrated service for high end users or simple Chromebook for low end users. So; How to Protect Data in the Cloud is actually not that simple that you thought – using Cloud is not always depends on our choice. How to Protect Data in the Cloud definitely covers the needed tips for your own Cloud Storage or Server but also they are applicable for third party servers and services as well. So, the way of thought have to be changed while reading this article. Safety is a key factor that determines the adoption of cloud services. But to protect a cloud environment effectively, it requires additional procedures such as identity and access management. It is not surprising that cybercriminals have identified the cloud infrastructures as a worthwhile goal to attack as well as to use as a tool. Attacks on cloud computing services have increased significantly in the past twelve months. However, the targeted attacks on individual companies and public institutions are rarely seen, according to an analysis by Alert Logic. It is dominated by widespread attacks, as well as the sending of spam e-mails. According to a study it has been revealed that, the companies who attacks set up to operate on their own infrastructure and has more secure setup than those of cloud service providers! Accordingly, private clouds are clearly attacked more frequently than the public cloud. Especially they run vulnerability scans, attacks on web applications with SQL Injection and there is the obvious brute force attacks to guess the passwords of users and system administrators. A cloud computing environment is characterized by the decoupling of IT resources of the physical infrastructure, the keyword is virtualization. Virtual machines with operating systems, applications and data can go almost at will in a cloud infrastructure – in the cloud or between a private and public clouds. In terms of safety, this means that IT security functions must be flexible to its best, too. In the form of VMs In this case, for example, anti-virus and access control programs are implemented as virtual security appliances on the respective hosts. To protect the infrastructure, application programming interfaces (API) can be used, for example, solutions like Symantec Protection Suite and VMware Shield, as well as software appliances such as from Intel can be used. With the Intel Expressway Service Gateway, an administrator can monitor and manage cloud APIs. It is important to automate the backup and central management tasks including security rules. This also applies to the exchange of a workload from a private to a public or hybrid cloud. To prevent sensitive information being intercepted by unauthorized persons, data loss prevention systems are helpful. Such systems prevent, for example, own disloyal staff or administrators of a cloud service provider to steal information. 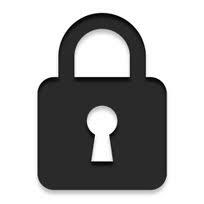 Therefore further data encryption can be used. This also applies to databases that are outsourced to cloud storage services such as to archive data. In addition to this, the security policy of a workload on the safety relevance of the data to be matched. For devices such as workstations, tablets, laptops and smartphones, which allows access the users on a cloud computing environment, the same security requirements must be applied as in a conventional computing environment. An updated malware protection and frequent patching are require . Particularly important is the system management, especially the management of mobile devices. Who wants to guarantee in a cloud computing environment, do your homework. This Article Has Been Shared 9723 Times! Cite this article as: Abhishek Ghosh, "How to Protect Data in the Cloud," in The Customize Windows, March 29, 2013, April 21, 2019, https://thecustomizewindows.com/2013/03/how-to-protect-data-in-the-cloud/.